You Snooze, They Lose. Most Presentations Are Glorified Snoozefests! Aside from making your day a little less fun, dull presentations are bad for business. The good news: knowing a few techniques will make sure yours are never dull. 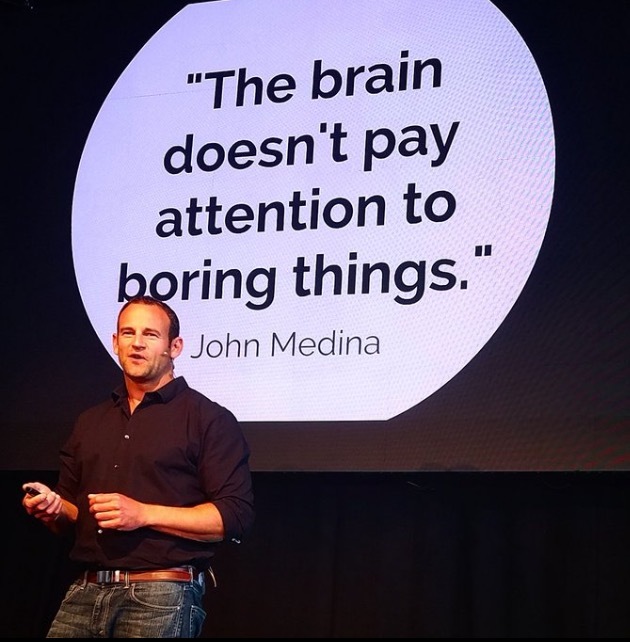 Let’s just be real for a minute: most public speakers are boring. The bar out there is pretty low. You can stand out fast. This course will make sure you do just that and in a fast and fun way. Or your money back. Applying even a few of these techniques will quickly up the engagement in your talks, increase your chances of getting well paid to speak, and make you look better then 90% of the other speakers out there. Whether you are preparing for a business presentation, giving a wedding toast, defending your thesis, raising money from investors, this course will take you from nervous and sweaty to stage-ready. "Quick, easy and fun steps to enliven your presentation skills with proven techniques from the world of standup comedy." Learn 7 Comedy Habits to be a better public speaker, consistently funnier and help rid the world of boring presentations! This courses teachings, as referenced in Inc, Forbes, Fast Company, Lifehacker and featured by Prezi as one of the best online training courses for presenters, outlines easy to apply steps from the world of standup comedy to improve your presentation and public speaking skills. “I wanted to know how to use humor in public speaking as I recognize this as a useful tool for making my audience at ease. David gives lots of practical advice on how to create a great speech, not just be funny. He also includes a lot of resources which I know I will come back to time and time again." We de-construct the process from standup comedy into 7 Habits and show you how to translate them into public speaking skills for the world of business. These 7 Comedy Habits are aimed at helping you deliver a more memorable, entertaining and engaging presentation, every time. Whether you are a seasoned presenter or someone with a real fear of public speaking (like me!) these easy to apply steps will help you stand out from the crowd. These techniques are being applied by numerous TED talks, start-ups, entrepreneurs, keynotes, interviewees and professional speakers to further engage their audiences and I'll take you through how to do the same. There are step by step assignments following each section that will help you develop your own content and delivery methods. This is further supplemented with engaging viewing material from a number of TED talks and business presenters highlighting techniques covered in the course. How top business speakers are using humor. How to replicate top TED talks. How to craft your key message and content into memorable and humorous stories. Quick ways to get funny and engaging fast. How to extract the funny and build it into joke structures through comedy writing techniques. How to never go blank on stage using the memory palace technique. Techniques used by comedians to overcome stage fright and improve your timing and delivery. Storytelling tips that everybody can use. How to open and close strong, make a great and funny first impression while getting laughs every time. How to manage an audience and hold their interest. Start with Story. This course is focussed on drawing humorous stories and anecdotes from your everyday life experiences. Everything starts with a story. Adding Humor to your stories and teaching you how to draw out those funny elements. Writing Funny. Introducing key humor writing structures and strategies. Delivery. How to make it all look effortless and eliminate the fear of ever going blank of stage. .
Rehearsed Spontaneity. How to find content that always works and looks in the moment. Control the Audience. Learn how to manage any room and overcome disruptions. Close the Book but not Fully. Teaching you how to hone your best content, best evaluate, and make sure you get better every time. Start today and become a better and funnier public speaker! Most presentations are really boring. With application of these habits yours will not be! This is a completely self-paced online course. You decide when you start and you decide when you finish. How does lifetime access sound? After enrolling you have unlimited access to this course for as long as you like - across any and all devices you own. I would never want you to be unhappy. I couldn't handle the emotional drama :). If you are unsatisfied with your purchase, contact me in the first 30 days and I will give you a full refund, no questions asked. I heard a rumor it's possible to die laughing during this course. Can you confirm or deny? Next question. This is too controversial. Over 69 short and fun lessons with entertaining examples to back up all key learning points across 3.5 hours of total content. It also includes handouts and freebies to help you learn. Born and raised in Dublin, Ireland, David is the author of the best-selling book Do You Talk Funny? and the Founder of FunnyBizz Conference. His work has been featured in Inc., Lifehacker, The Huffington Post, Fast Company, Entrepreneur, NPR, The Wall Street Journal, The Irish Times, The Irish Independent, and Forbes. “One of the best speaking coaches out there” according to Forbes.com, David’s book remains one of the highest rated in the world on the (usually not so wildly exciting) topic of public speaking and his content has been read by over one million people. A sought after international business speaker, David has also performed standup comedy and was the winner of the prestigious 43rd annual San Francisco International Comedy Competition. As a storyteller he finished runner up in NPR’s the Moth’s largest US story telling competition. David has thought for Stanford Graduate Business School, University of Oxford, UC Berkeley, University College Dublin, San Francisco State University, Hult International Business School, General Assembly, and the Nasdaq Entrepreneurial Centre. His clients include top companies like LinkedIn, GoDaddy, Hubspot, best-selling authors, Olympians, TV personalities, CEO's, and TED speakers.